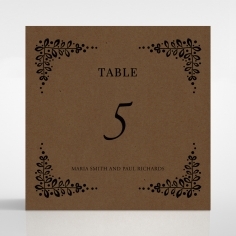 A sleek and sophisticated invitation that is exquisitely stylish to suit your classically inspired wedding day. 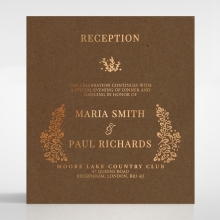 This stationery features gorgeous leaves stamped in foil along the corners of the invite along with a regal crest to showcase you and your partner’s initials. 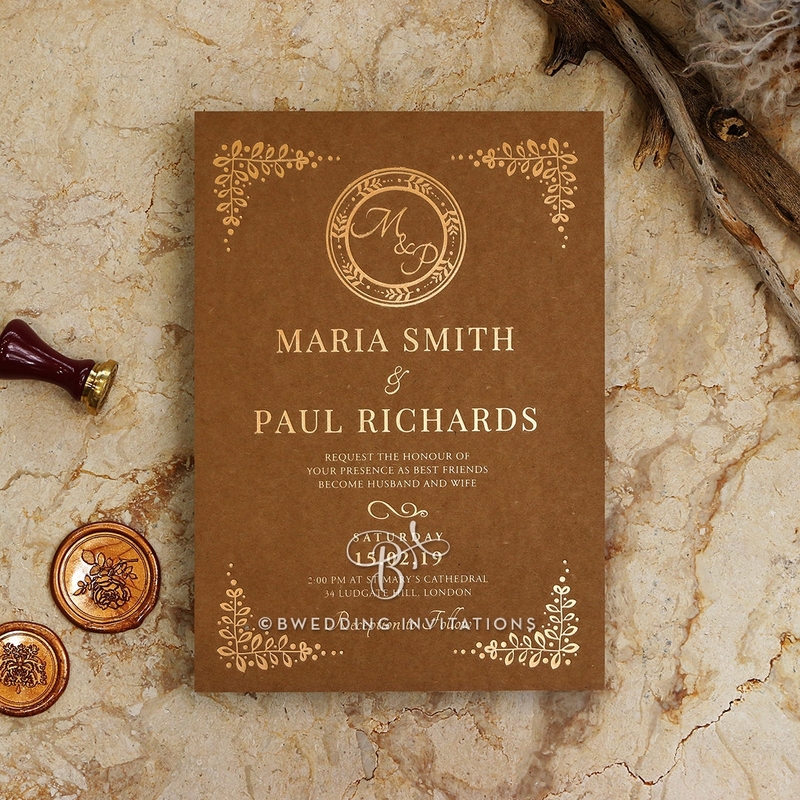 Hinting Victorian inspiration, this enchanting stationery design offers the best of classic styling and contemporary detailing uniquely fused using our modern printing techniques and quality materials. 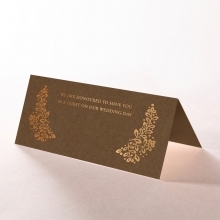 The impressive foil stamped finish is available in rose gold, silver and bronze aside from the luxurious yellow gold originally used. 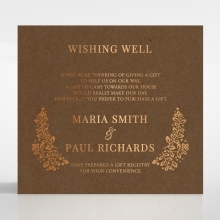 Regardless of your chosen foil color, this will elegantly complement our signature raised ink printing on imported cotton German stock as it delivers your personalized message to your family and friends. 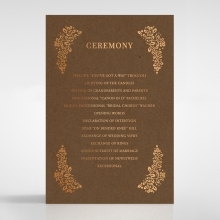 My invitations were very elegant and beautiful. 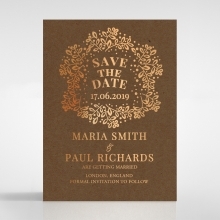 I was looking for something a little different than the usual shower invitation. 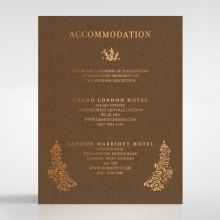 I chose a lovely flower cutout design and have received many compliments on the look of the invitations. They were reasonably priced. 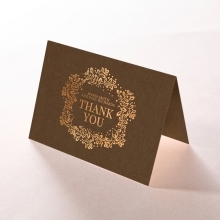 The customer service was excellent and the proofs and corrections to proofs were done immediately. Finally the delivery was quick and on time. 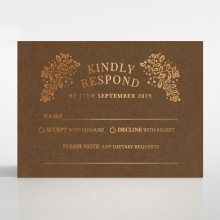 I am now using this company to order invitations for my daughters wedding!